Elton John to World: Tear This Internet Down! All in all, we’re just another blog in the Wall. Ich bin ein Webizen. There’s too much technology available. Darnit, I knew something was screwing up modern music. It’s … CDM! I mean, come on, it’s not like people like me are just sitting around blogging instead of actually making som– Oh. Ahem. See your point. Okay, in fairness, we’re once again taking something zany out of context. Sir Elton was mainly pointing out that actually being together with people is more fun than just hanging around your computer, and then makes the radical statement that maybe the world would be a better place if people actually did something rather than blogging about it. And, naturally, I kind of tend to agree. While we’re at it, Bob Dylan turned out to be right, too — modern records do have sound all over them. Only one invention had the power to transform a society that made music in their living rooms into one that became largely passive consumers of a few superstar artists. 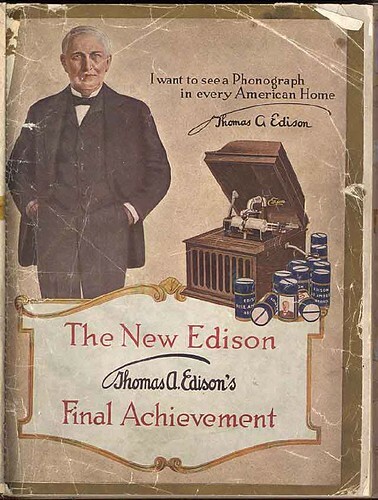 That’d be … the phonograph. It did give us some awesome music, though, so I don’t think we did all bad. I’m more curious about how we’re tearing down the Internet. I know how we can tear down this tiny little corner of the Internet — digg/slashdot a story enough and even our mighty, new server will come crashing to the ground. Not sure about the rest, though. Ideas? Sure, everyone wants to complain about the Internet. Yet no one has the balls to build a time machine and stop this guy. Do I smell hypocrisy?